1) Blue Cross Medigap programs, like all Medigap programs, are intended only for people who are enrolled in both Parts A and B of Medicare, and in some states only for those over 65. 2) As you know, Medicare Supplement Insurance plans (often called Medigap) are regulated, so, Blue Cross has to offer the exact same benefits as all other senior supplement insurance providers. 3) Which Medigap plans Blue Cross offer (and more importantly at what price) can vary dramatically from state-to-state. While Blue Cross is technically allowed to offer the whole alphabet of Medigap plans, most states only offer Plan A, F, G and N. To learn the exact plans, benefits offered and prices available in your state, get a quick quote below. Use this link to find Blue Cross medigap plans in your state. Here you will get a quote and a list of what benefits are covered under each plan in your state. If you are ready to apply for Blue Cross Medigap click on the arrow below. 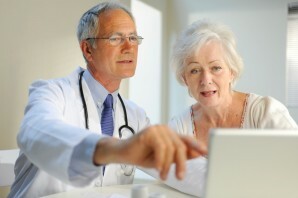 If you don’t already have Medicare you may want to check out this Medicare and senior supplemental insurance website. It explains Medicare Part A and Part B (required before you can purchase Medigap),Part D prescriptions as well as Medigap. Here is a general list of the kind of benefits offered under the Blue Cross medicare supplemental plans. Make sure you get a medigap quote to see the exact benefits. Click here to compare Medigap plans. This page is designed to provide you with information on supplemental medicare plans offered by Anthem Blue Cross. If you require more information about other providers’ supplemental programs, call us at 800 930-7956. To get at 10 Second Medigap Quick Quote, type your zip code in the box on the top of this page for an immediate quote of top supplemental plans. No agent will contact you unless you request it by including your contact information. My mother-in-law moved from Georgia to Kentucky and currently has Blue Cross Blue Shield of Georgia Plan F coverage. Can she simply renew her coverage, or does she need to choose a new plan? Since she has Medigap, she doesn’t need to get a new plan when she moves. However, she will need to let her company know that she has moved, and her rate may change based on her new zip code. Hope this helps! I moved from Michigan to Florida in 2012, and was told to keep blue cross medigap policy from Michigan. I received a letter 10-09-2015, stating an increase of 35.00 a month because I’m out of state covered. Can I now enroll in Florida Blue medigap without that 35.00 increase ? Thank you for your question. Generally, when you move, the rate will increase or decrease based off your new zip code. If you want to go with a different company that has a lower premium, you can apply to any company that is offered in your area. The only thing you need to remember is that you’ll have to answer medical questions to change plans. Hope this helps! Can I get medigap insurance if I am 60 yrs old and on disability? It depends on the state you live in. Remember, that Medigap plans for those under 65 require you to answer medical questions, and generally are quite a bit more expensive than when you turn 65. Contact us at 800-930-7956, if you would like to speak to an agent. Thank you for your question. If you move states, you can keep your current Medigap policy, since Medicare Supplement plans have a nationwide network of doctors and hospitals. Generally speaking, if you have a Medigap policy in one state, but move to another, you will stay enrolled in your original policy. However, you are welcome to apply in your new state. If you do so, you may be required to answer medical questions. Click here to get a Medigap quote. I turned 65 this summer. I am retired from the govt. and I still pay medical insurance through my retirement. I will be full retirement age for Social Security next year. That is when I will begin to pay for Medicare B. Does Blue Cross pay for my Doctor appts during the interim? Thank you for your question. Without knowing exactly which Blue Cross plan you are discussing, I suggest you contact one of our agents at 800-930-7956. The asterick says “Creditable” means that the coverage we had before joining Humana met Medicare’s standards. Thank you for your question. Medigap policies purchased after January 1, 2006 aren’t allowed to include prescription drug coverage (per CMS). If you purchased your plan since that date you should not have creditable coverage. If you purchased before this date you may or may not have drug coverage. Please feel free to call us at 800-930-7956 if you need more help with this. I am interested in buying medigap policy. 1. How soon after I buy,it becomes effective? any waiting period? 3. When is open enrollment period for illinois? 4 I have medicare -A & B—since feb 13.How soon must I buy this policy without penalty? Thank you for your questions. Medigap plans can cover coinsurance for hospitalization, and some also cover your Part A Hospital deductible. If you’re looking for a comprehensive plan check out Medigap Plan F.
Enrolling in a Medigap plan has an initial enrollment period, which does not require health records, for 6 months after you are eligible for Part B. If you wait beyond this period, you would have to go through medical underwriting and may have to pay a higher premium. Due to the specificity of your questions please call 800-930-7956 so that an agent may walk you through this. I have blue cross supplemental. What will the monthly rate increase be under Obamacare? Thank you for your question. If you currently have a Medigap plan, you will stay on it and will not move to one of the plans offered under the Affordable Care Act. Additionally your Medgap plan monthly rate shouldn’t be directly impacted by Obamacare. Does bc/bs have a medigap policy for those under 65 with a disability? In some states you can purchase a Medigap plan before you are 65 if you have a disability. Give us a call at 800-930-7956 and we can help you find one. The way I understand it you must get plan B the social security administration. Then once you have plan a and plan b, you can buy Medigap from Blue Cross Blue Shield. You many want to contact the phone number in the article above to confirm. From the Social Security Administration I received a statment that my plan “B” coverage coats $ 259.70. Do I need a plan “B” coverage from Blue Cross Blue Shield ? I think a lot of people think just having Medicare A and B is enough. We learned this the hard way. My parents didn’t have medicare supplemental and found out that Medicare doesn’t cover some very expensive things. Just the minimum. I wished I pushed them for a medigap when they turned 65. I am turning 65 in Dec. I have applied and gotten my Medicare card Part A and B. My employer said I have to get my own Part B insurance and I will be reimbursed because I am not going to collect SS payments yet. My main question is that my employer is transfering me to Supplement B BlueCross-CMS 65 Plan A. I don’t know what that is, is it major medical coverage? can you help? well i think I really appreciate with that. I have already health, medical, accidental, life insurance so I secure now but I’m concerned about what happens when I get older. I think this one is perfect for me. I think I finally get the first point “1) Blue Cross Medigap programs, like all Medigap programs, are intended only for people age 65 or older, who are enrolled in both Parts A and B of Medicare. ” First I sign up for PArts A and B, then I’ll get Medigap. So simple but wasn’t sure of the order. My wife and I are retiring soon. WMH - July 1. JPH - December 2011. I am 69. She will be 66 in Dec. Neither of us has Medicare. We are covered by her employer plan until Dec. We are trying to find out what we need to do and when. What’s available? Any information that you may send will be appreciated. We are residents of Arkansas. Please quote Missouri PART F Medicare Supplement cost and whether the price quoted will continue for what period of time.